Atticus Dewey is a junior at Community High School and this is his third year on the staff of The Communicator. 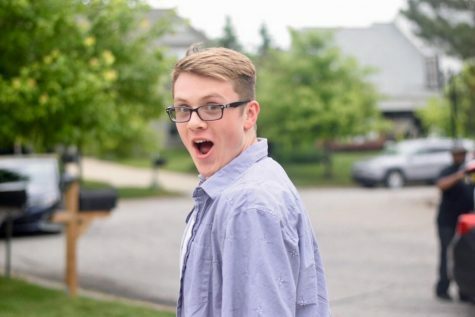 While he loves writing articles, photographing events, and meeting the people of the Ann Arbor Community, he also has a life outside of journalism. This "life" of his mainly consists of jumping in the water constantly, whether it's for swimming or for water polo, as well as composing music for a variety of reasons. Even though Atticus will be at all-time stress high, he is still looking forward to everything journalism has to offer this year.